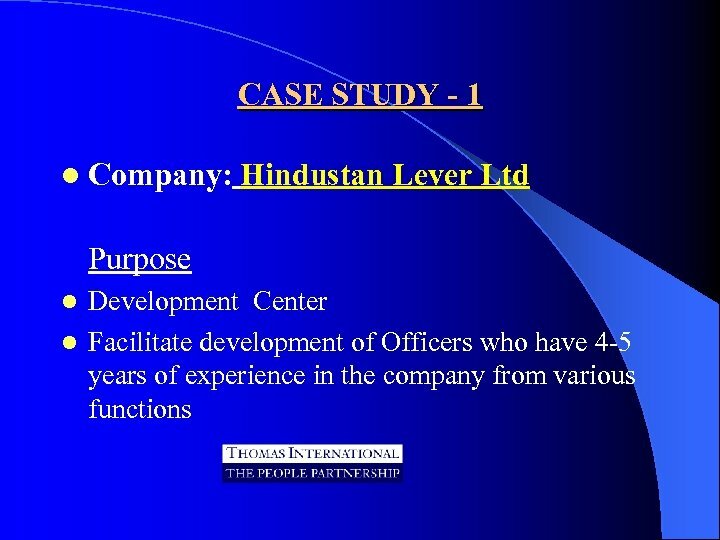 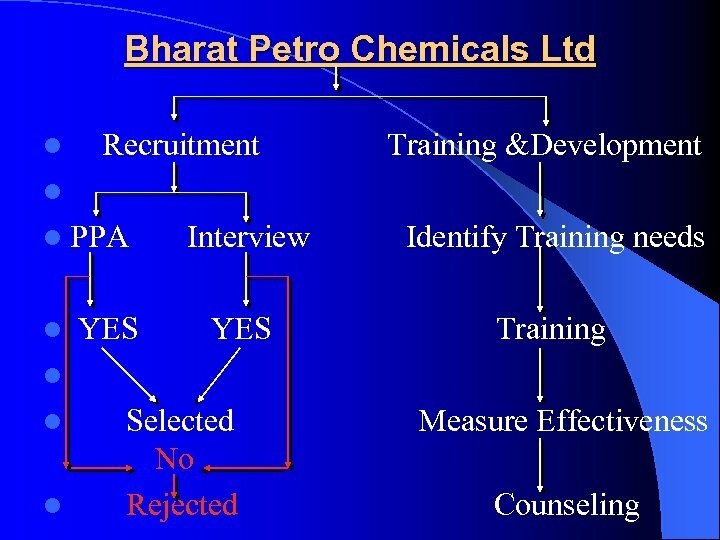 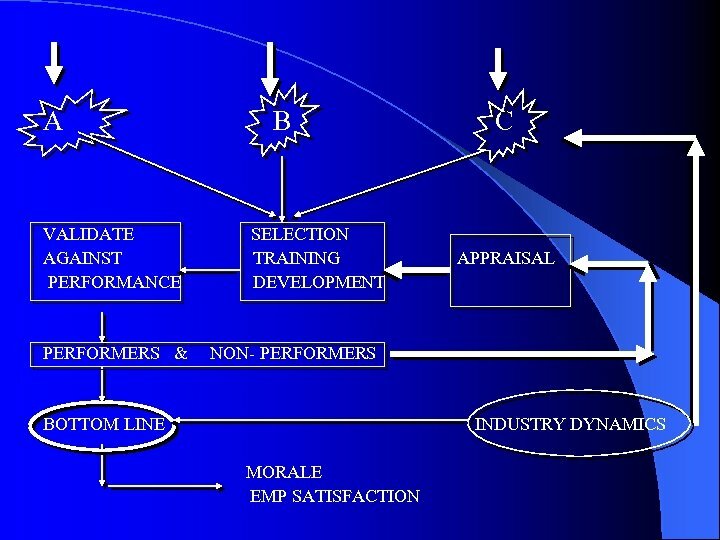 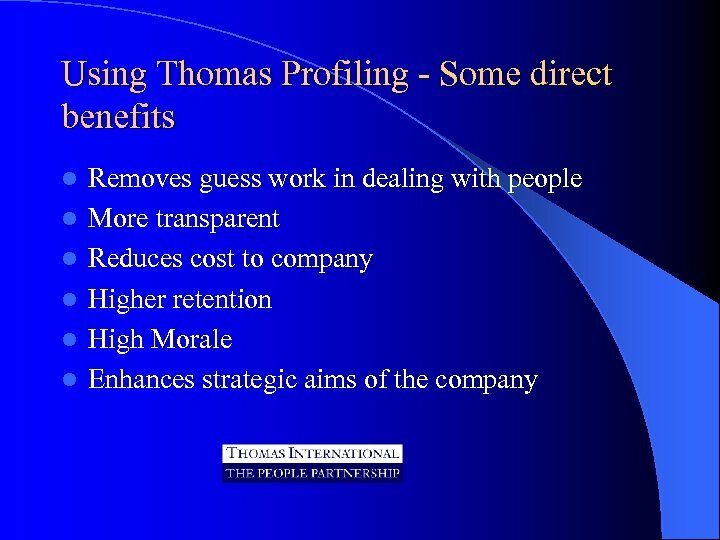 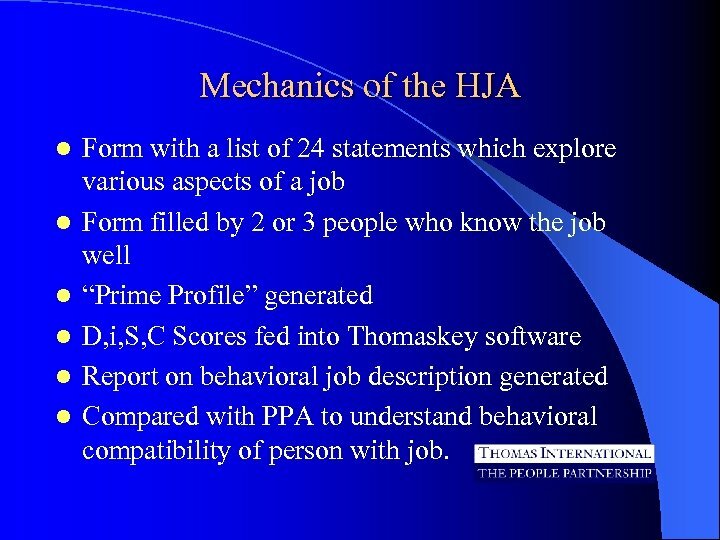 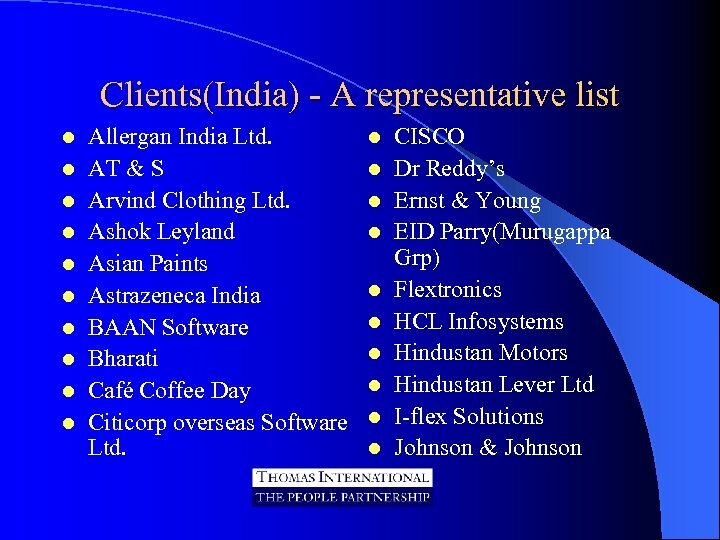 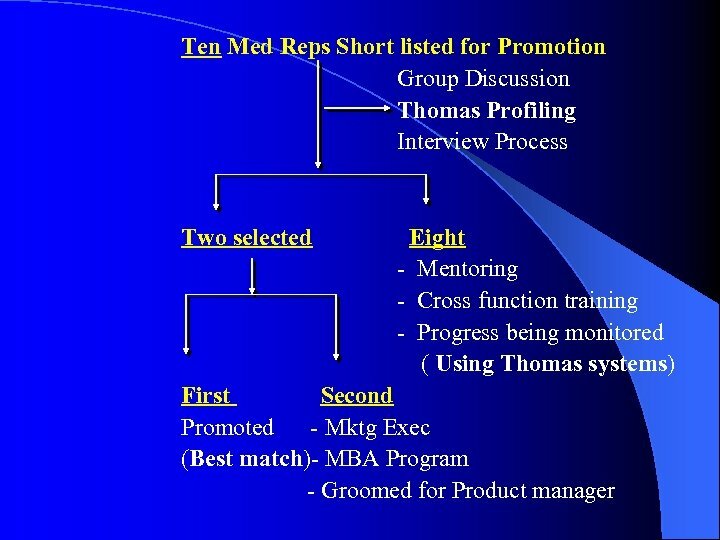 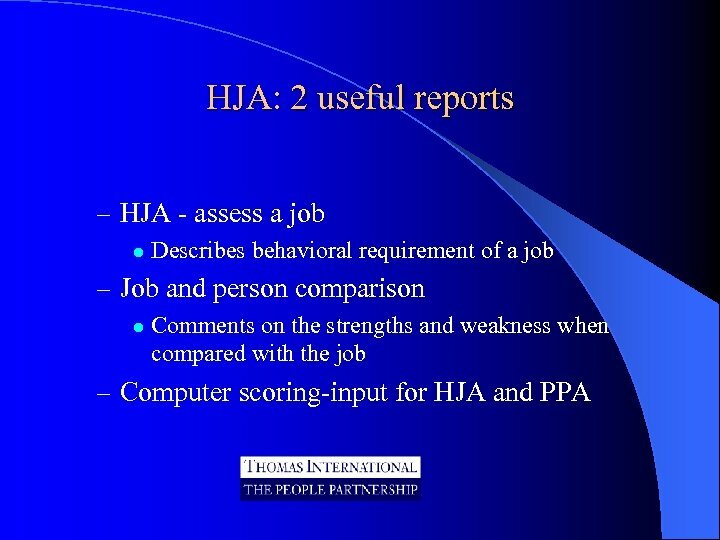 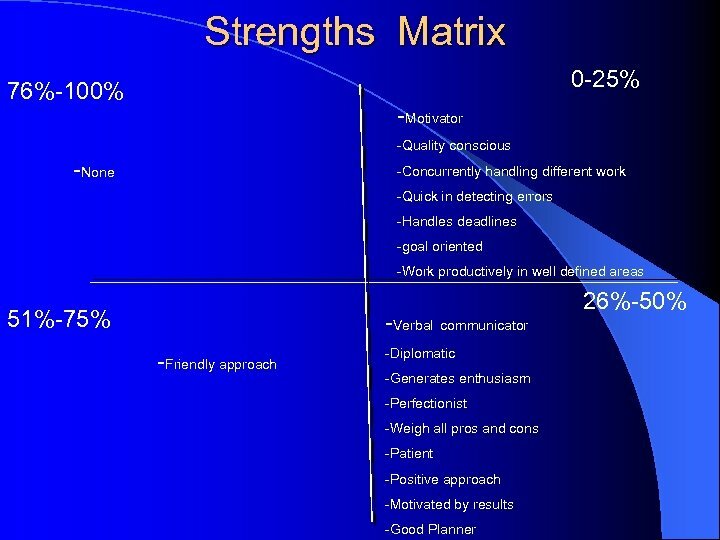 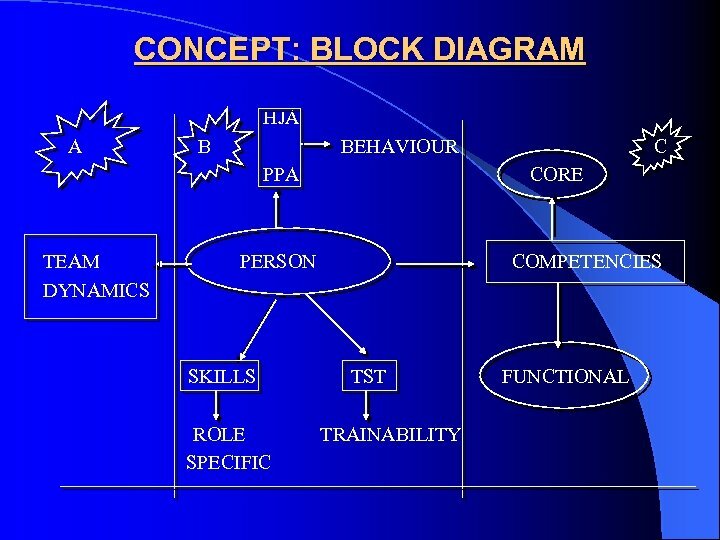 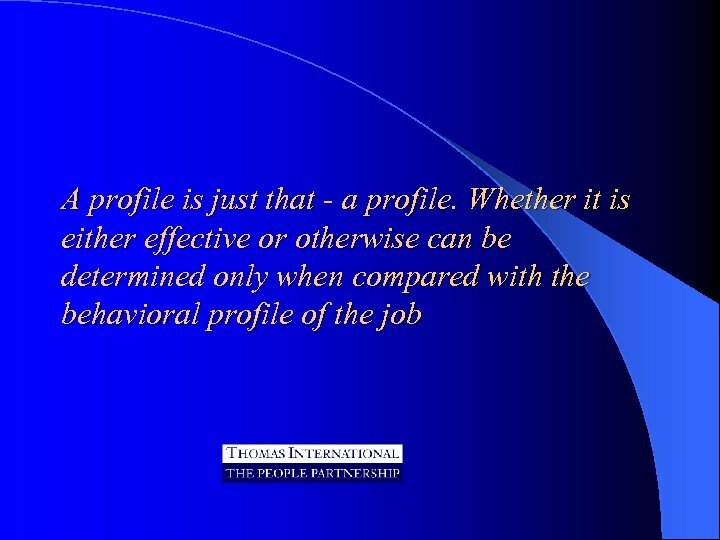 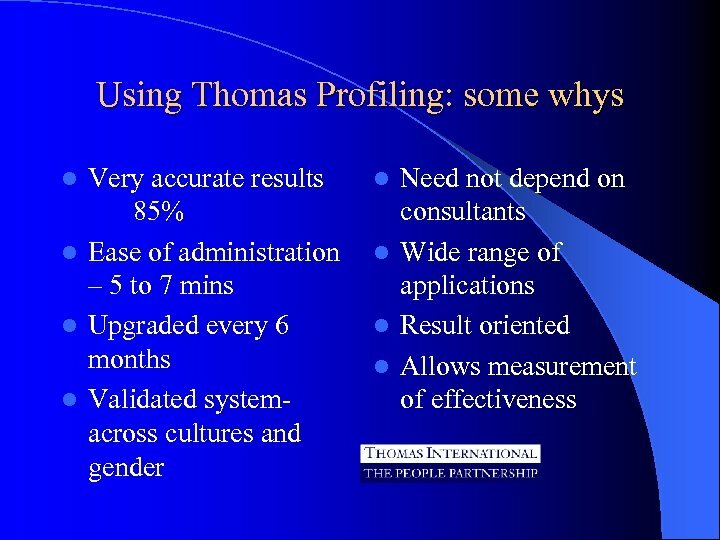 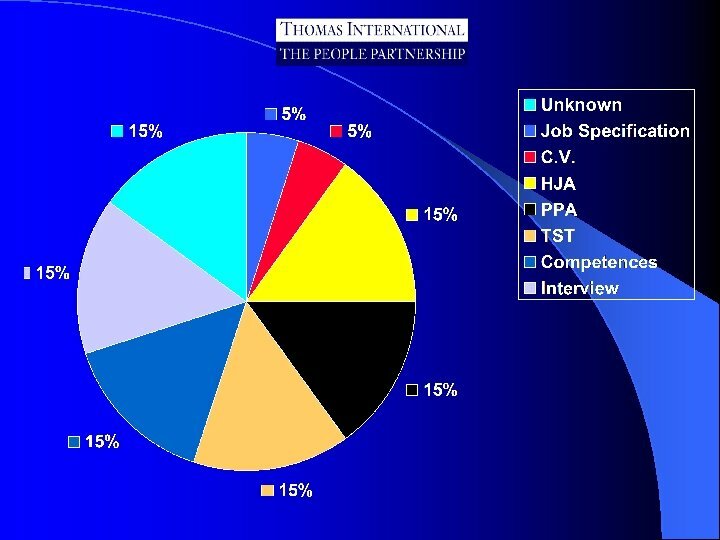 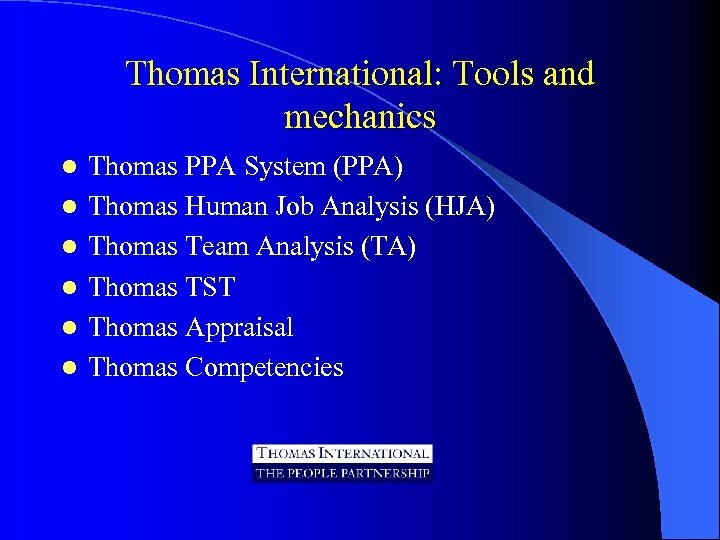 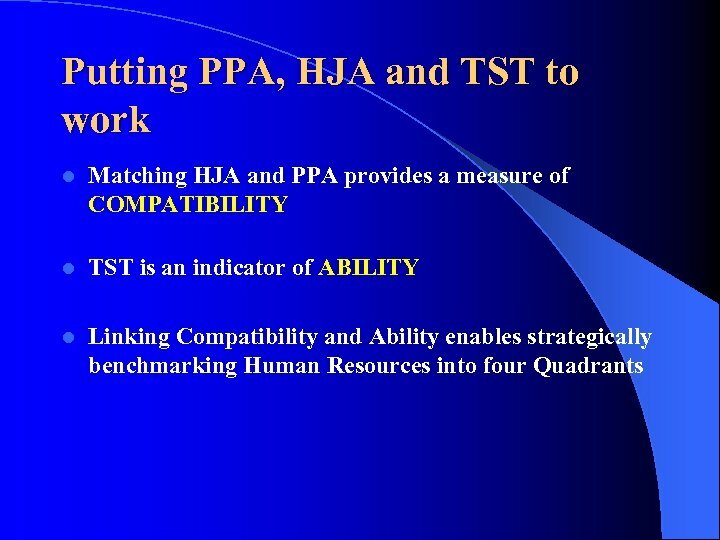 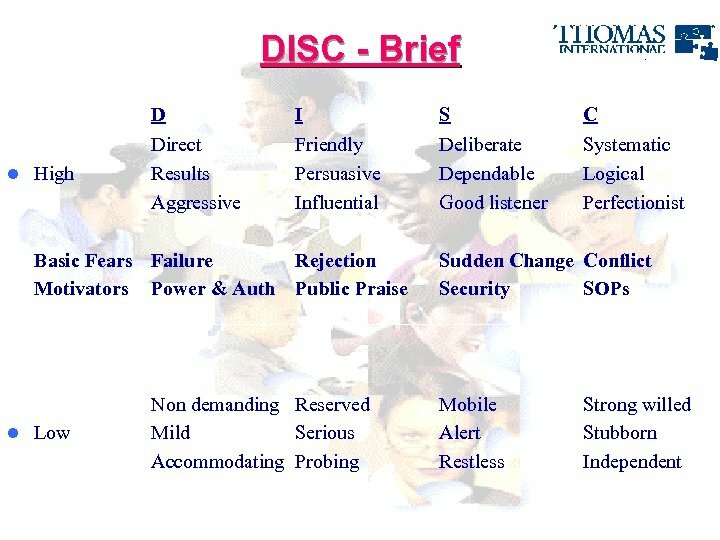 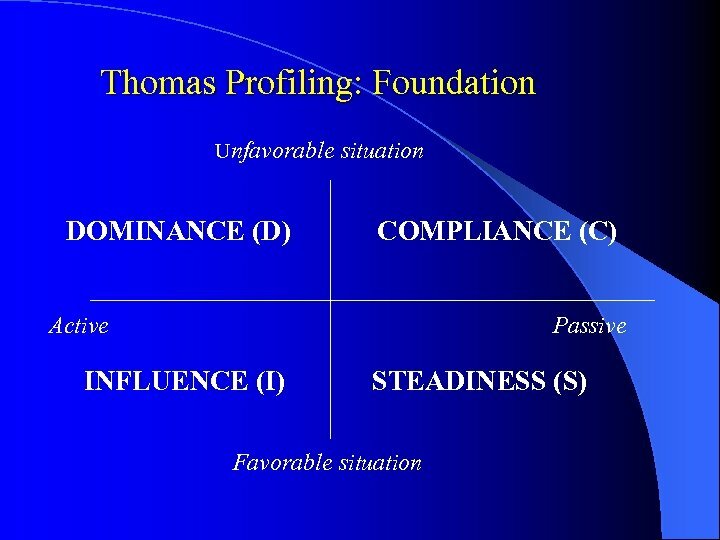 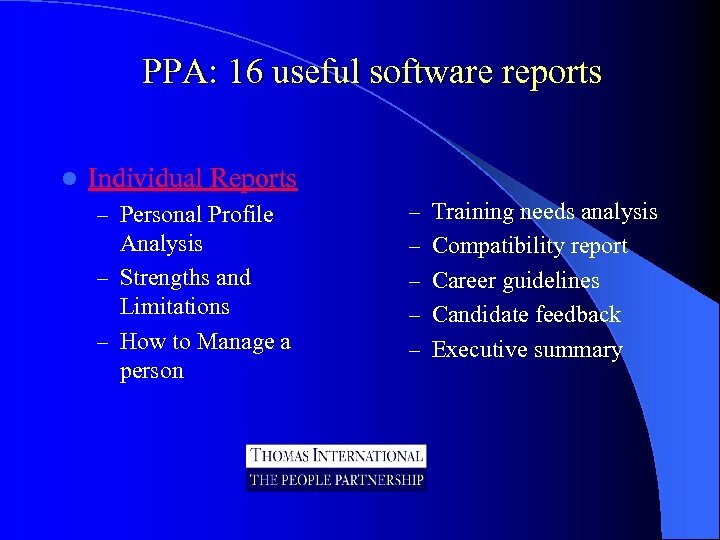 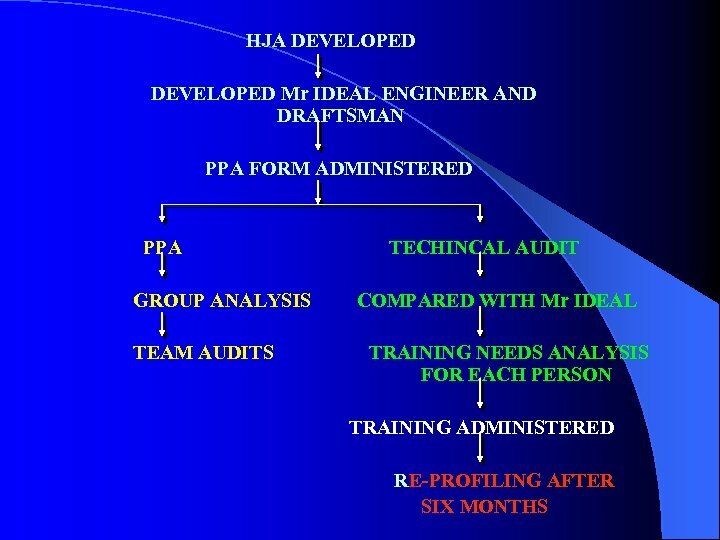 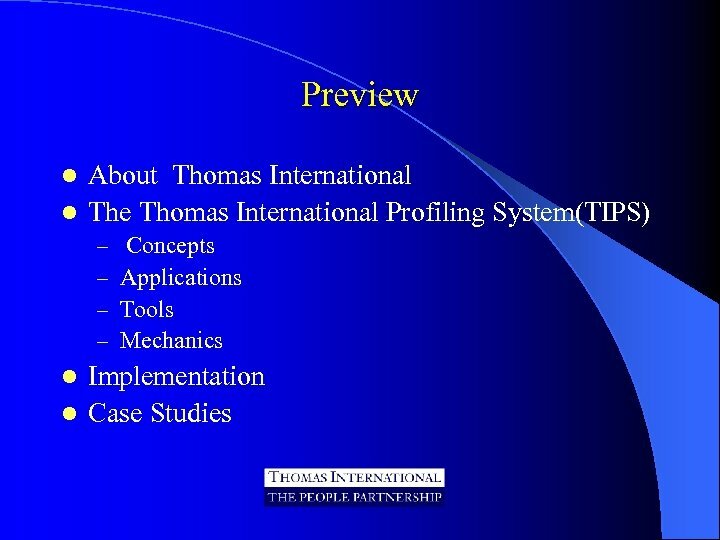 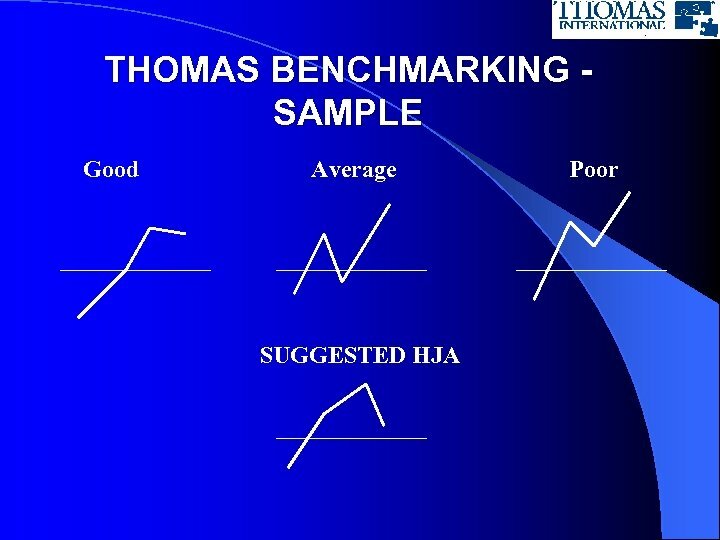 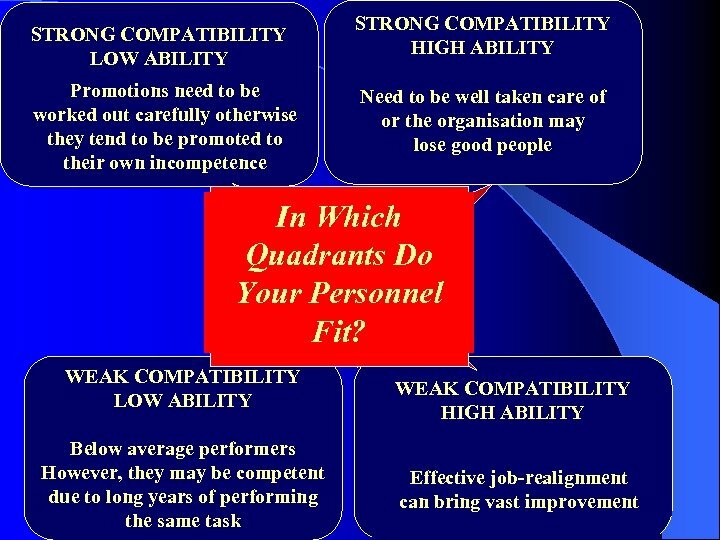 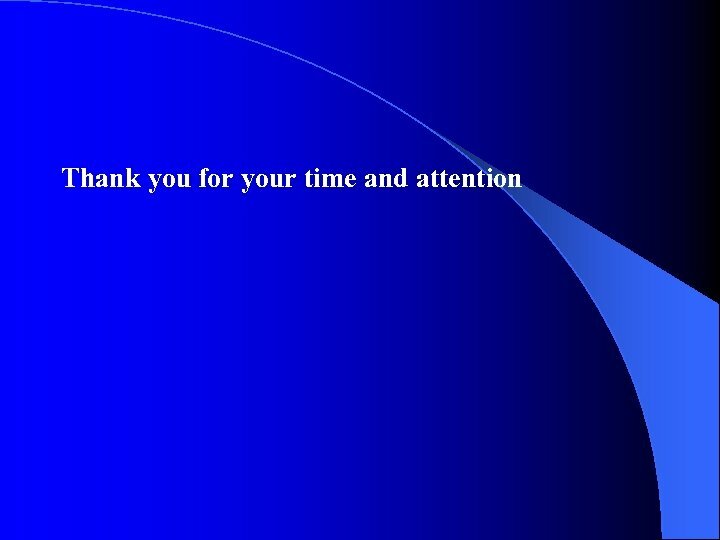 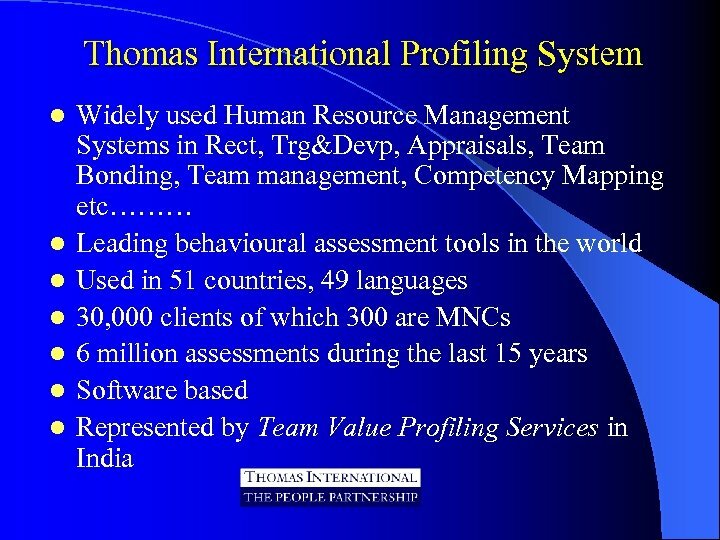 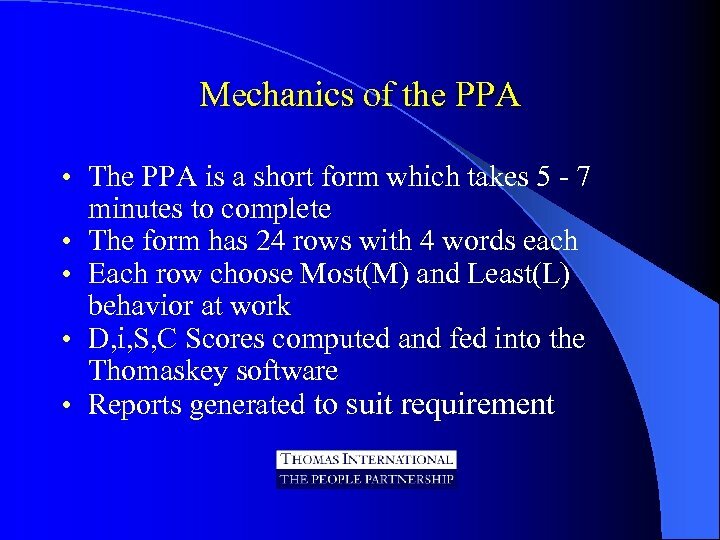 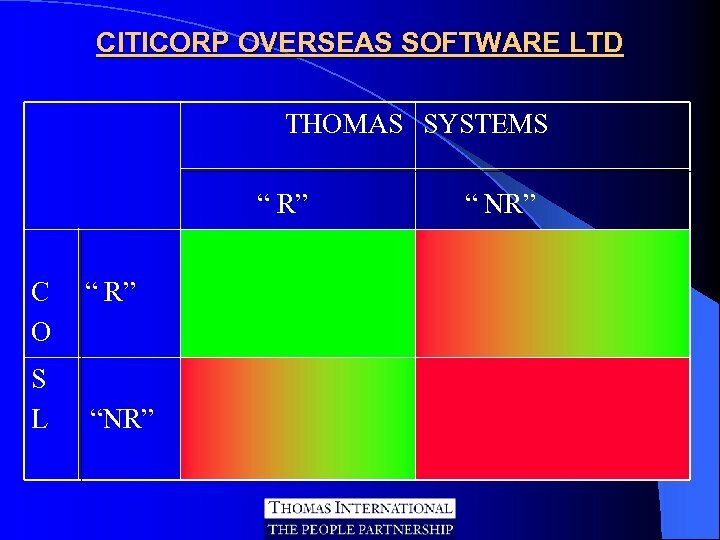 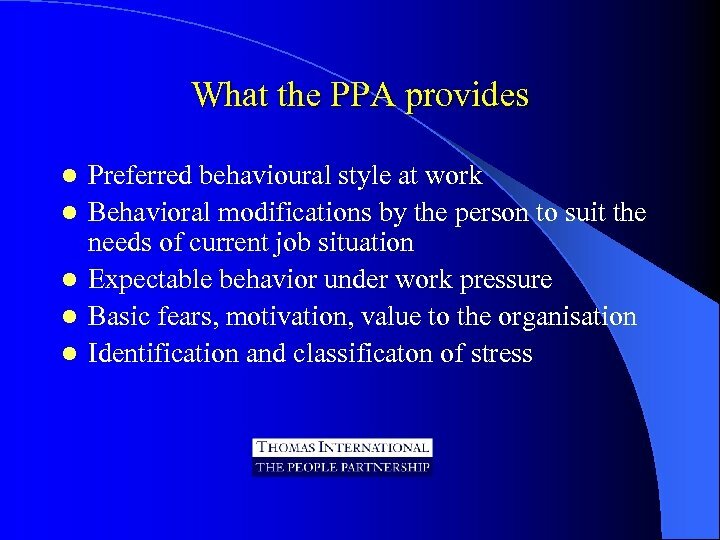 Mechanics of the HJA l l l Form with a list of 24 statements which explore various aspects of a job Form filled by 2 or 3 people who know the job well “Prime Profile” generated D, i, S, C Scores fed into Thomaskey software Report on behavioral job description generated Compared with PPA to understand behavioral compatibility of person with job. 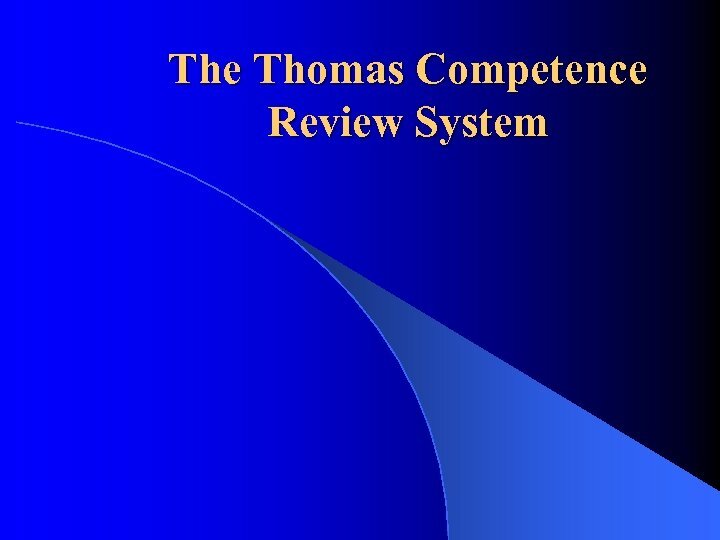 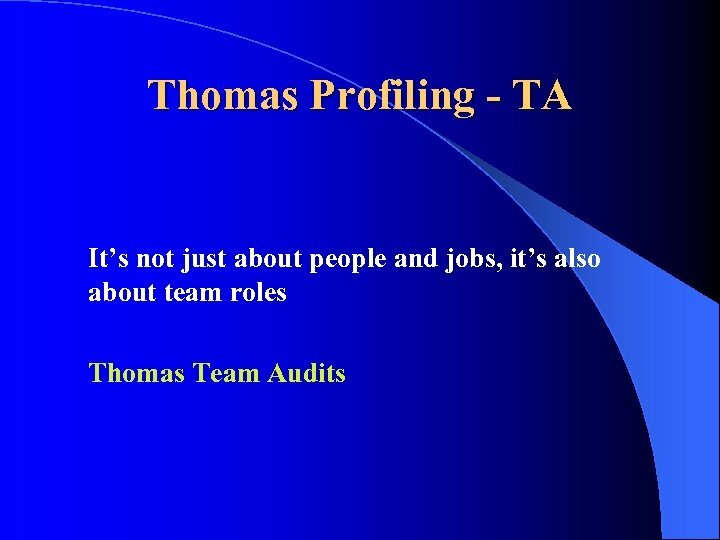 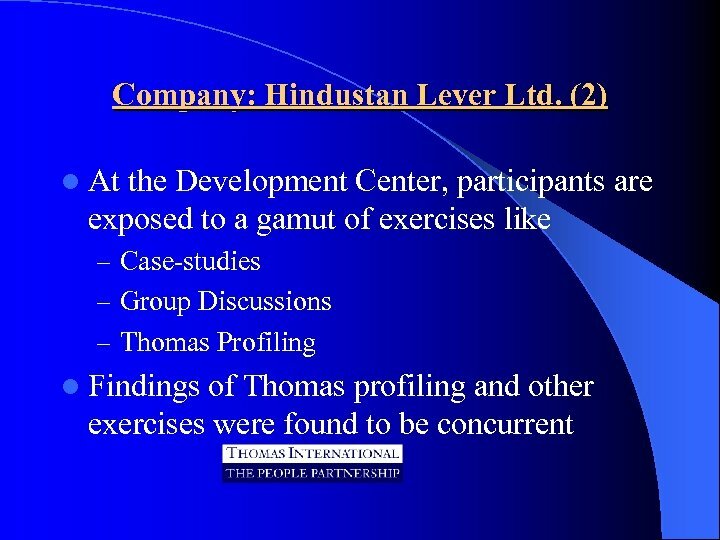 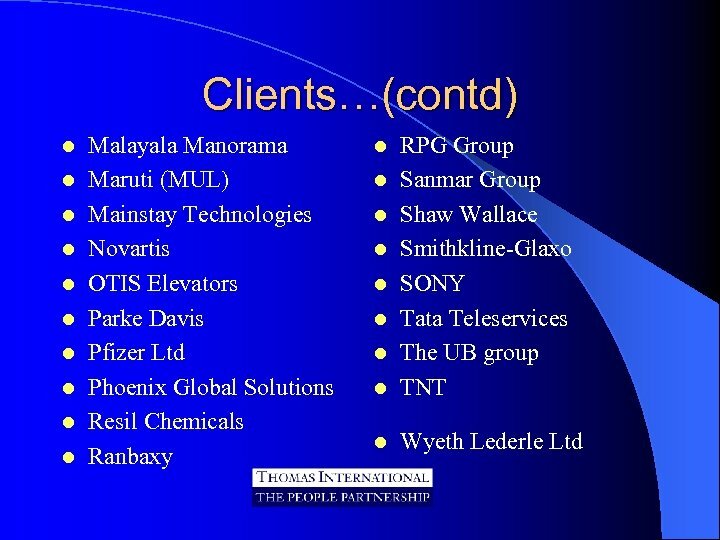 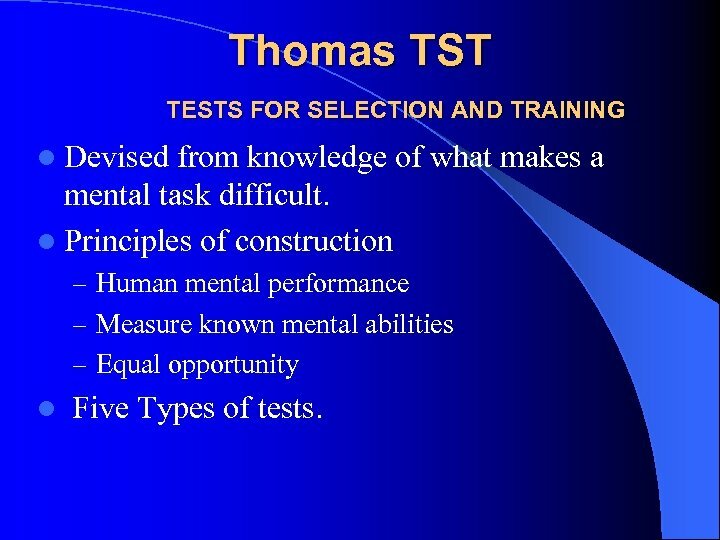 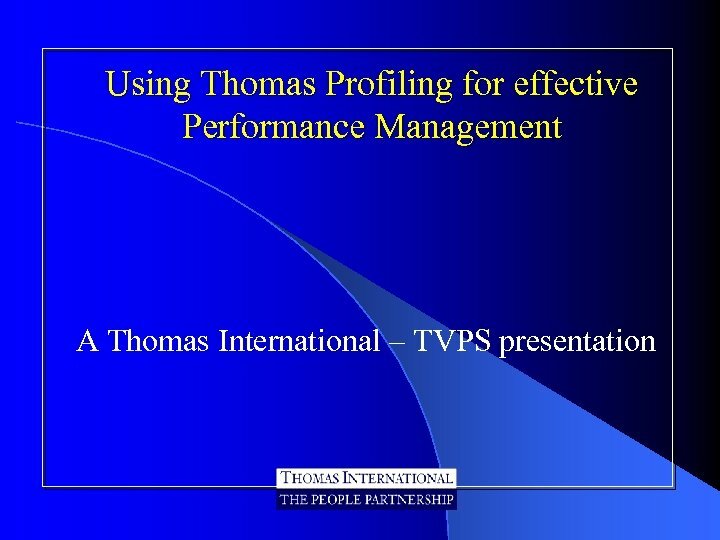 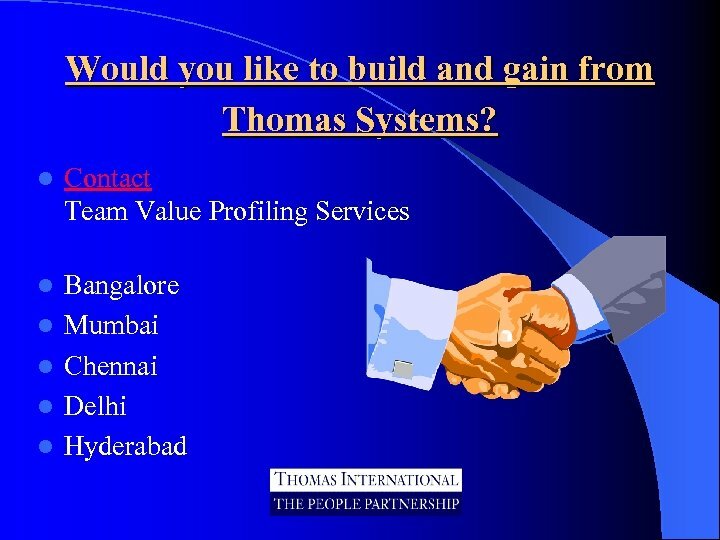 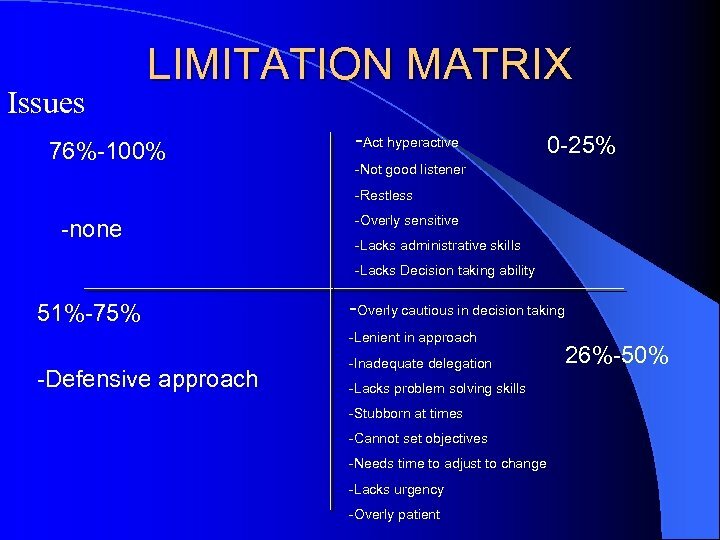 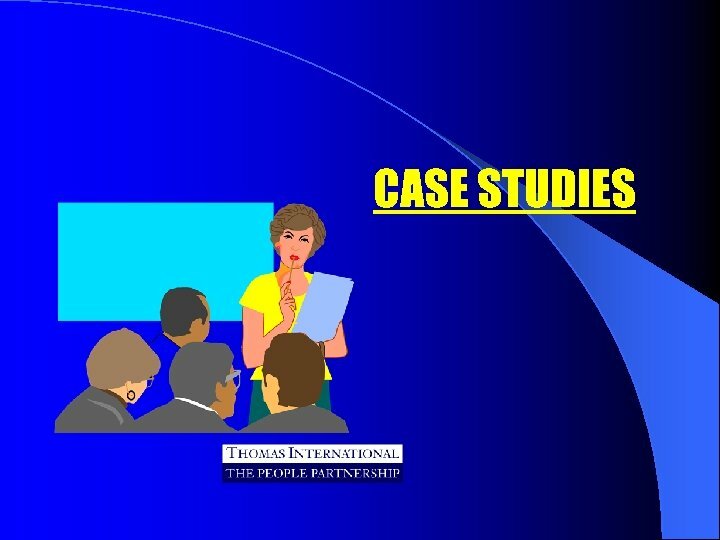 Thomas TST TESTS FOR SELECTION AND TRAINING l Devised from knowledge of what makes a mental task difficult. 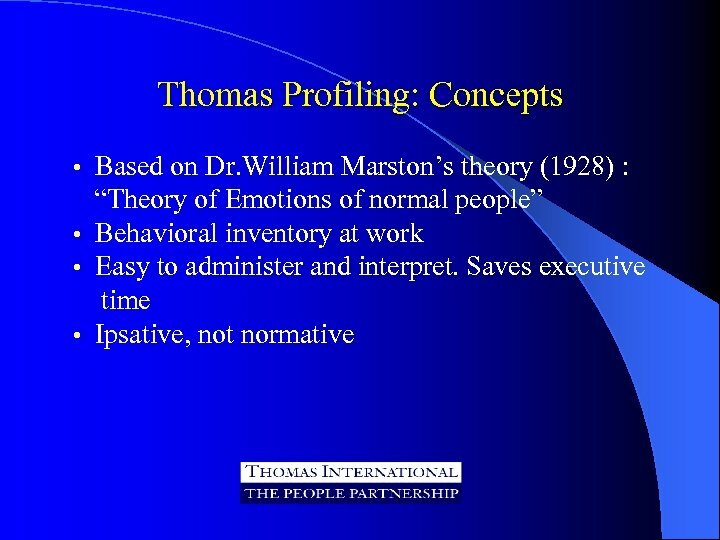 l Principles of construction – Human mental performance – Measure known mental abilities – Equal opportunity l Five Types of tests. 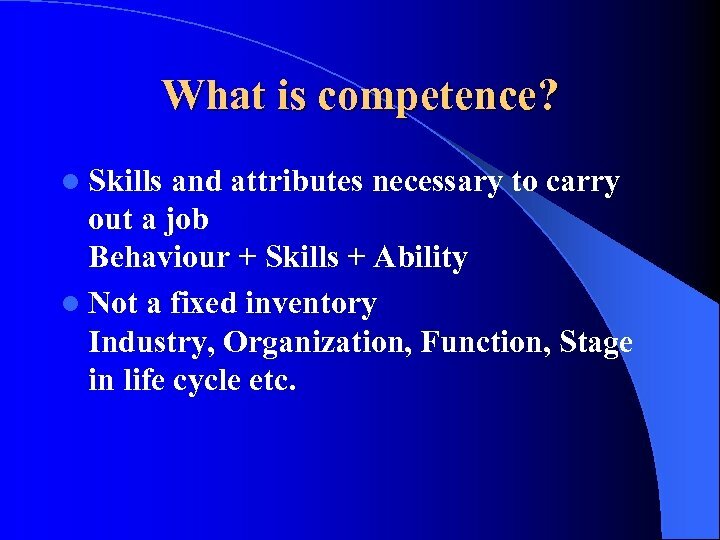 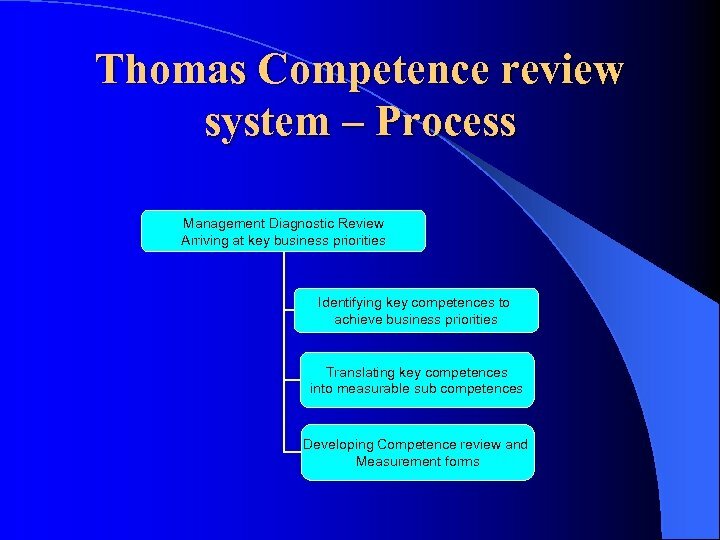 What is competence? 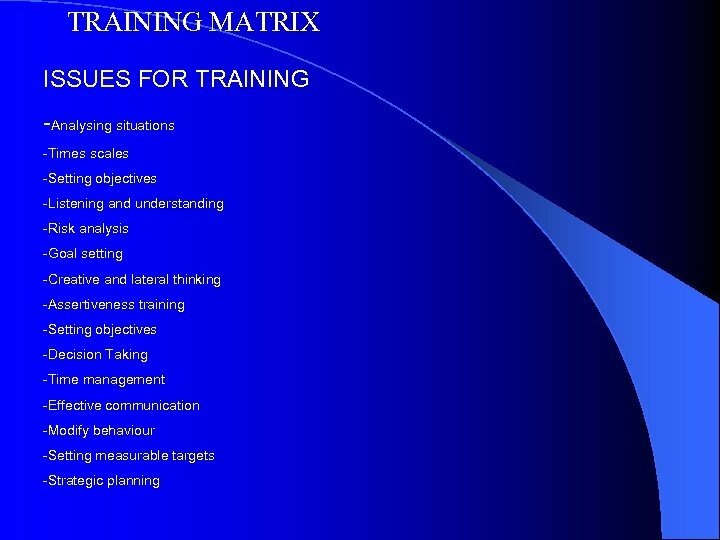 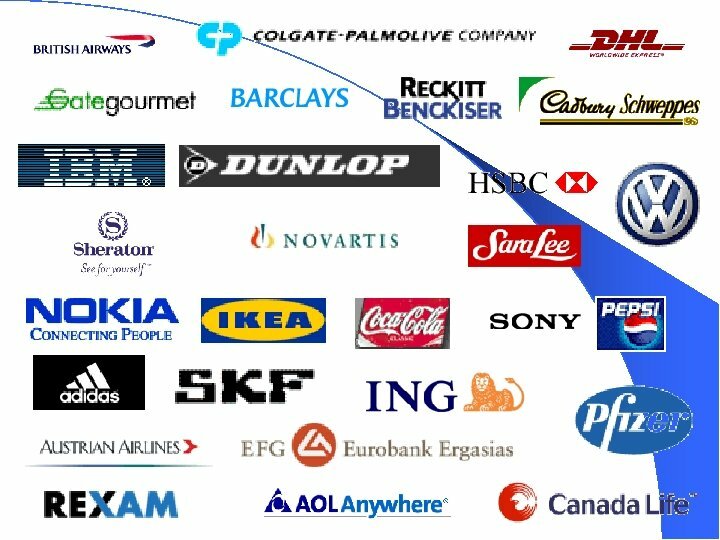 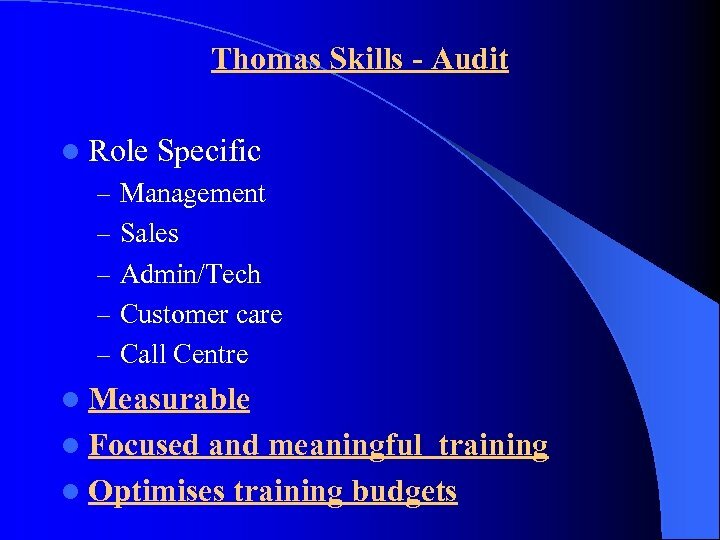 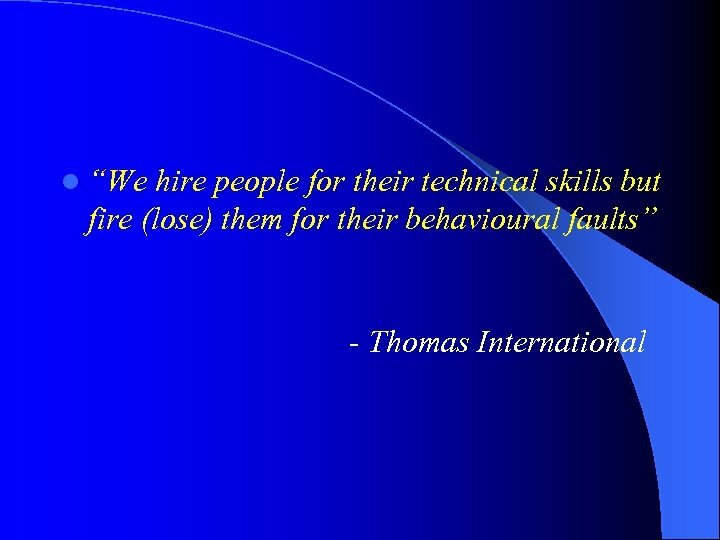 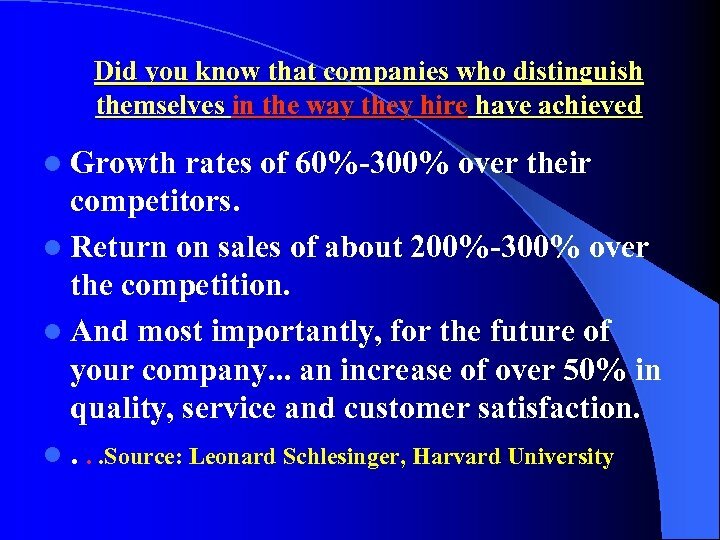 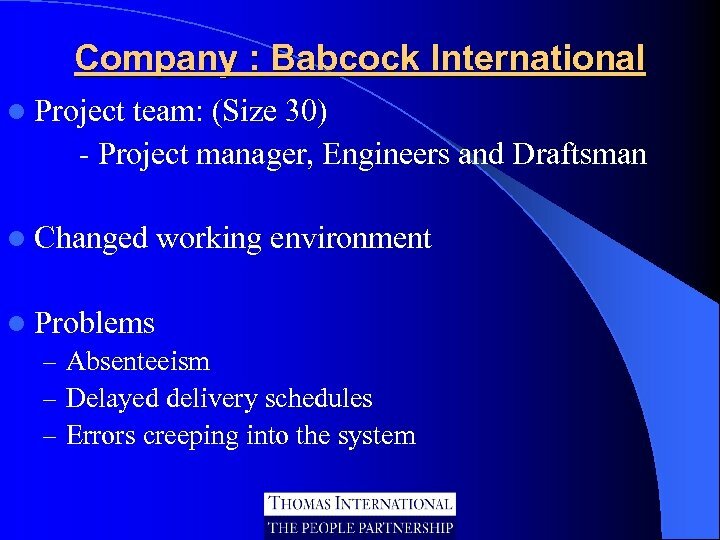 l Skills and attributes necessary to carry out a job Behaviour + Skills + Ability l Not a fixed inventory Industry, Organization, Function, Stage in life cycle etc.